Tottenham striker Harry Kane scored his 20th goal of the season in all competitions with his winning strike from the penalty spot against Chelsea. The 25-year-old showed typical composure and accuracy to give Spurs a slender 1-0 lead after the first leg of their Carabao Cup semi-final against the Blues. 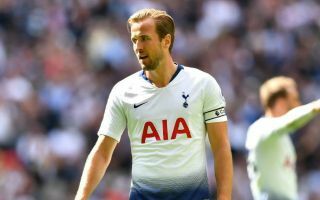 And in doing so, Kane achieved a hugely impressive record – scoring 20 goals in all competitions for the fifth season in a row. According to this tweet from Sky Sports Statto below, this makes Kane the first player in Tottenham’s history to manage this, which just shows what an elite player he really is. Amusingly, Kane was dubbed a one-season-wonder by many fans after he broke onto the scene for Spurs in 2014/15, with few really expecting him to maintain his prolific form. However, there is no question now that the England international is one of the very finest goal-scorers in the world and could most likely get into the starting XI of basically any team. For now, however, he remains a Tottenham player, and one imagines this record won’t be the last one he breaks for the north London club.